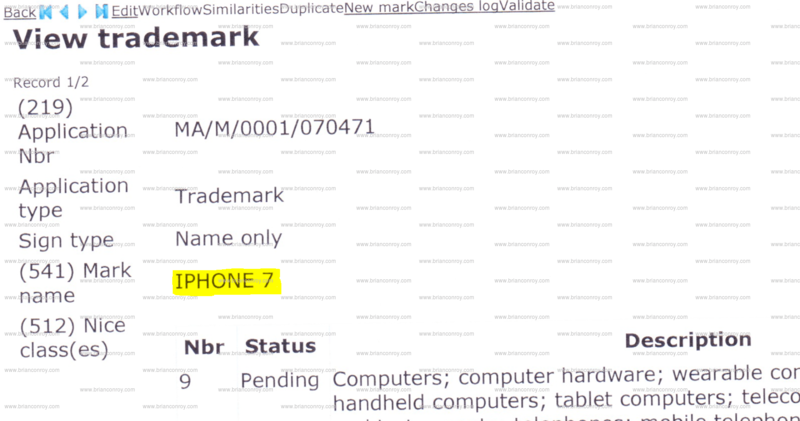 So, we all “know” the iphone being announced on Wednesday is the iphone 7, right? RIGHT?? Also, a lot of people have also speculated that there could be three models. 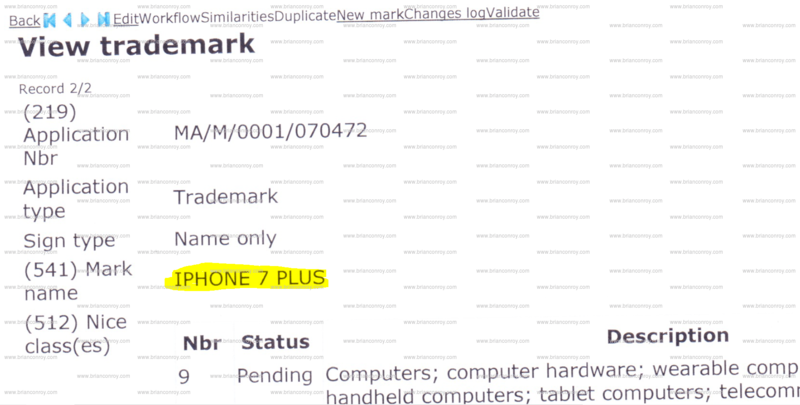 I’m no maths whizz, but that’s only two trademark applications, which would suggest that there’s only two models….and obviously that those models are called the iPhone 7 and iPhone 7 Plus. These trademark applications are real. They exist. They are a matter of public record. That doesn’t mean that there is only going to be two phones released on Wednesday, and that they are called the iPhone 7 and iPhone 7 Plus. Apple folk work in mysterious ways, everyone knows that. However, if anyone can come up with more concrete evidence than this, firstly, I haven’t seen it, and secondly…..I would like to. of interest as yours and my visitors would really benefit from a lot of the information you provide here.